Conductor and Music Director Wes Schulz talks about the four upcoming concerts in our local orchestra’s new 2016-17 season, its 44th. 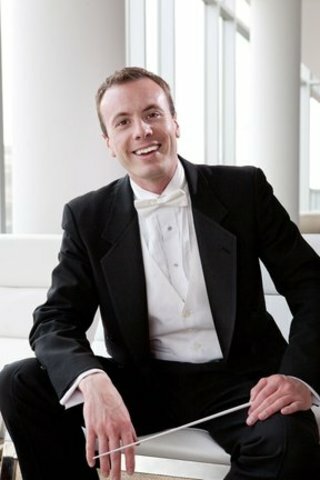 Each concert will be totally unique to Bainbridge Symphony Orchestra, and never before performed here. 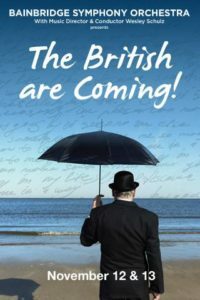 The season kicks off on the evenings of November 12th and 13th with “The British are Coming.” The music comes from three great English composers – William Walton, Vaughan Williams, and Elgar – with “resplendent orchestration, grandeur, and pomp” (as only the British can do it). Particularly unique and special will be the second concert, Mahler’s Symphony #1, which will be performed in March by Bainbridge Symphony Orchestra together with the orchestra of the University of Puget Sound. The performance of that symphony requires a large number of instruments and musicians, so the combining of these two orchestras will bring us a spectacular performance. Each of the two Mahler performances will be off-site – at the Bainbridge High School on March 4th, and at the University of Puget Sound campus on March 5th. In this podcast, Wes also provides some insight into the creative process of how a symphony concert comes together. See further details about the Bainbridge Symphony Orchestra and its season of classical performances at the website of Bainbridge Performing Arts.